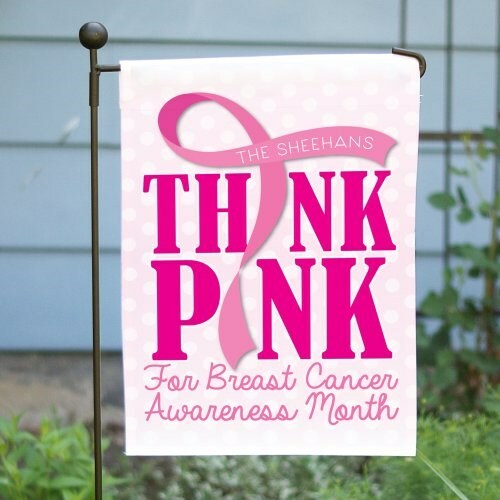 This eye-catching garden flag helps to spread breast cancer awareness to all your family, friends and neighbors. Display this inspirational garden flag in your yard or garden to let everyone know you'll stop at nothing to show your support. Our breast cancer awareness products also make for great gifts.